We’d love your help. 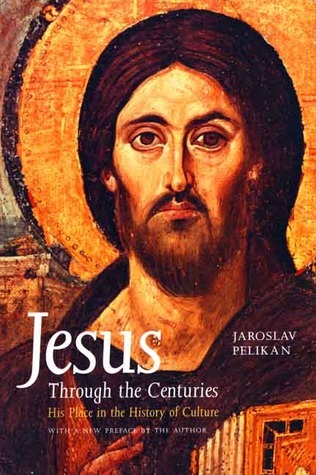 Let us know what’s wrong with this preview of Jesus Through the Centuries by Jaroslav Pelikan. One of the most highly regarded works of intellectual history of the past decade, Jesus Through the Centuries is an original and compelling study of the impact of Jesus on cultural, political, social, and economic history. Noted historian and theologian Jaroslav Pelikan reveals how the image of Jesus created by each successive epoch—from rabbi in the first century to liber One of the most highly regarded works of intellectual history of the past decade, Jesus Through the Centuries is an original and compelling study of the impact of Jesus on cultural, political, social, and economic history. 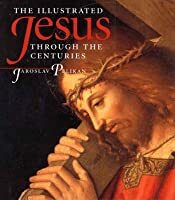 Noted historian and theologian Jaroslav Pelikan reveals how the image of Jesus created by each successive epoch—from rabbi in the first century to liberator in the nineteenth and twentieth centuries—is a key to understanding the temper and values of that age. To ask other readers questions about Jesus Through the Centuries, please sign up. This is not a book of devotions or inspiration (and I imply no condescension towards those genres, having read many myself)but an intellectual history of theology, culture and the arts. Pelikan's command of the scholarship is superb, even, at the risk of gushing, awe-inspiring. I found myself making marginal notes all over the place to look up innumerable authors and texts whose work he cites, some famous and some I'd never heard of. Each chapter, roughly 12-15 pgs, covers a different image or c This is not a book of devotions or inspiration (and I imply no condescension towards those genres, having read many myself)but an intellectual history of theology, culture and the arts. Pelikan's command of the scholarship is superb, even, at the risk of gushing, awe-inspiring. I found myself making marginal notes all over the place to look up innumerable authors and texts whose work he cites, some famous and some I'd never heard of. Each chapter, roughly 12-15 pgs, covers a different image or cultural perception of Jesus -- The King of Kings; The Universal Man; The Poet of the Spirit; The Liberator; etc -- and though organized chronologically, with some thematic progression, one needn't read it in that order or even the entire book to learn much. The chp headings encourage one to jump around. Dense with information but lucidly written, each chapter could be read as single essay. I found each chp so packed with fascinating information that I never read more than one at a time. Pelikan comes across as a calm, pleasant and brilliant scholar whom I imagine holding an 8am lecture hall of 300 students in rapt attention. He does an impressive job of drawing connections among multiple concepts and sources with clarity. His main strategy throughout is providing an overview of different periods, illustrated with a close reading of primary sources -- Gospels, Augustine, etc -- and scholarship, from the relevant period and current. Many of the chps raise issues still debated today. For example, Pelikan says that Jefferson did not believe in the concept of the Trinity, but rather admired the the historical Jesus as a man of common sense and universal virtue; an interesting portrait that lends complexity and nuance to the current argument that Founding Father's vision of America was that of a Christian nation. This book has something for readers of many interests: history, religion, philosophy, art, social justice. For lovers of literature, for example, his readings of writers as diverse the Romantics and Dostoevsky is fascinating. As a note of caution, I should add that this book is not an easy read; it requires your undivided attention. Not becasue it's difficult to understand, but because Pelikan presents so much detailed information. Because he's often drawing connections, he tends to write in long sentences with extended subordination. They are not in the least convoluted, but they do demand a level of sustained attention that might challenge those of us with attention spans stunted by rapid collage commercials and online surfing (and I included myself in that category). I read it over the course of 3-4 months, with breaks, but in the end I found it so rewarding that I'm sure I'll be picking it up and rereading certain chapters again and again. Picked this up in a San Francisco resale shop. There were three hardcover copies, all with different prices, making this purchase a satisfying one. Pelikan has impressed me with his scholarship in the past. This, however, is more an impressionistic piece about different facets of the Jesus figure as they reflect back on the historical periods which focused on them. It is as much about Pelikan's sense of Western European history and culture as it is about Jesus-as-archetype. I suppose such a study Picked this up in a San Francisco resale shop. There were three hardcover copies, all with different prices, making this purchase a satisfying one. A fascinating account of how the image of Jesus shifts over time and place. I especially enjoyed the chapters on St. Francis of Assisi, Johann Sebastian Bach, and Thomas Jefferson. Pelikan, best known for his multiple-volume history of Christian creeds, here has written a short study of how Jesus has been displayed, interpreted, and most importantly perceived by cultures since his appearance on earth. Chapter by chapter, Pelikan moves chronologically through the 2.000 years of history and geographically through the spread of Christianity. Culture, specifically the way people have responded to Jesus, is expressed in many ways: art, literature, religious orthodoxy and heterodoxy, politics, historiography, biography, lifestyles, science, revolution, and civil war. Beyond question, given the breadth and depth of this list, Jesus's place in culture is at its very center. Any study of Jesus must start with his history, as recorded in the Gospel, interpreted by the apostles in the rest of the New Testament, and in the prophecies of the Old. But even that terminology is freighted with the impact of Jesus on history, religion, and culture. It is easy to forget, as Pelikan reminds us, that at the time the prophets' writings were collected into the Hebrew scriptures, Jesus was an unknown presence. It is only with his birth and the intensely personal and powerful following that he left behind after crucifixion that the prophets' words were interpreted to predict the man Jesus, and that the Hebrew scriptures became the "Old" in comparison to the "New" testament that was written and collected by key members of that personal following. Based on the title, I expected to read more about Jesus, but this volume is a look at church history as seen through the lens of how the church viewed Jesus at different time periods. Despite being only peripherally about Jesus, it is a unique view of church history that adds much to one's understanding of how the church has viewed, and changed its view of, Jesus through the ages. Mr. Pelikan shows how in response to this view of Jesus people have responded in action, started movements, undertak Based on the title, I expected to read more about Jesus, but this volume is a look at church history as seen through the lens of how the church viewed Jesus at different time periods. Despite being only peripherally about Jesus, it is a unique view of church history that adds much to one's understanding of how the church has viewed, and changed its view of, Jesus through the ages. Mr. Pelikan shows how in response to this view of Jesus people have responded in action, started movements, undertaken projects, and given their lives. This is the highlight of the book: seeing how a person's view of Jesus leads to action. I’ve read a lot of history text books. I enjoy many of them. This one, however, is one of the worst I’ve ever read. The author never makes his intention or purpose of writing clear. It is filled with uncredited presumptuous statements, and quotes that seem to be included to highlight the author’s intelligence rather than to help emphasize a point. I will say there is nothing wrong with the content of the book, but he sure has made the subjects of art, history and theology boring. A really quite unique introduction to christology and Christ through history. Pelikan is so obviously exceedingly learned that the amount of references can be a little overwhelming. I am not completely sure how easy this is to read as an introduction, but it is very impressive how Pelikan manages to link theological themes with cultural expressions throughout history. I feel a bit odd giving this work by such a renown scholar only a 3-star, but it's about how it was for me. I just didn't get too excited about it. I read it along with a men's discussion group, and it seemed we all had to work at it to get through it--just not my favorite. This is not a history of Christology but a history of Christ as perceived by various cultures and eras of history as seen in the art, politics and images of those cultures. Very interesting and very well written. An interesting approach to the history of Christology, and the element of its "mirroring" of the culture in which Christianity is interpreted. I had a hard time getting through this book for Regent College, because the relationship between the book and the course assignments was quite forceful. Good reference for how views of Jesus changed through the centuries. I recently finished Jesus Through the Centuries. It’s definitely unlike anything I’ve read before. Having been introduced to the name Jaroslav Pelikan in the pages of Christian History magazine, I cannot be grateful enough for the experience of finally reading one of his works. Pelikan gives us a bird’s eye view of how the subject of Jesus has been treated by a variety of individuals over time. One will gain a greater appreciation for the early church fathers, particularly Augustine, as well as t I recently finished Jesus Through the Centuries. It’s definitely unlike anything I’ve read before. Having been introduced to the name Jaroslav Pelikan in the pages of Christian History magazine, I cannot be grateful enough for the experience of finally reading one of his works. Pelikan gives us a bird’s eye view of how the subject of Jesus has been treated by a variety of individuals over time. One will gain a greater appreciation for the early church fathers, particularly Augustine, as well as the influence of classic Greco-Roman culture in molding the popular image of Jesus in the early centuries of Christianity. How Jesus was viewed by both monks and mystics is also touched upon in this work. Regarding the former, Pelikan notes how early monasticism emerged as a reaction against unbiblical ideas that had infiltrated state-sponsored Christianity. Later on, readers will discover that Erasmus, after being inundated with complex medieval theology, sought to draw people back to a more Bible-based view of the Messiah. To add to this, we find how Martin Luther guided his own countrymen to discover Jesus as a relatable figure through the pages of his German New Testament. Readers are further made aware of how such otherwise great thinkers as Isaac Newton and Thomas Jefferson sought to water down biblical Christology during the Enlightenment period. Thankfully, a more biblical view of Jesus resurged through the Romantic poets, Russian authors such as Dostoevsky and Tolstoy, and the German theologian Karl Barth. In addition to the fascinating prose, classic art is presented throughout this text. Also, Scripture is alluded to in occasionally unfamiliar, though helpful, ways on a number of occasions. I must say this work strengthened my faith at a much deeper level than some of the recent bestsellers have. Though it may take a while to digest, I simply can’t give enough praise for Jesus Through the Centuries. Not sure at all how to put into words how deeply thoughtful and meaningful this book is. A friend of mine describes Pelikan as a "polymath," but I think that may be an understatement. Jesus and Mary Through the Centuries (companion texts) is at once a history of the world, specifically but not only the western world, a study of the beneficial and not so beneficial relationships between faith and culture, a demonstration of how the world has sought to understand and communicate the impacts (perso Not sure at all how to put into words how deeply thoughtful and meaningful this book is. A friend of mine describes Pelikan as a "polymath," but I think that may be an understatement. Jesus and Mary Through the Centuries (companion texts) is at once a history of the world, specifically but not only the western world, a study of the beneficial and not so beneficial relationships between faith and culture, a demonstration of how the world has sought to understand and communicate the impacts (personal, political, sociological, and so on) of Jesus and his mother on nearly everything. A magisterial analysis of the different emphases regarding Jesus of Nazareth's life and character throughout the ages and how cultures have been shaped by Jesus from the first century until now. The author highlights Jesus in context, the meeting of Jesus and Greek philosophy, Constantinian and Augustinian views of Jesus, the development of the monastic life, renewal in the late Middle Ages, views of Jesus during the Renaissance, Reformation, the Enlightenment, and Romanticism, and Jesus as a Lib A magisterial analysis of the different emphases regarding Jesus of Nazareth's life and character throughout the ages and how cultures have been shaped by Jesus from the first century until now. The author highlights Jesus in context, the meeting of Jesus and Greek philosophy, Constantinian and Augustinian views of Jesus, the development of the monastic life, renewal in the late Middle Ages, views of Jesus during the Renaissance, Reformation, the Enlightenment, and Romanticism, and Jesus as a Liberation and mission figure over the past two centuries. The author does well at showing how the portrayals of Jesus in the Gospels are understood throughout these centuries, how each successive group emphasized different aspects of His character, and how the figure and faith of Jesus shaped many aspects of those cultures, both in agreement and on account of disagreement. This is such a fascinating read. Pelikan walks through different artistic depictions of Jesus throughout history, describing for each the biblical, philosophical, and cultural roots of each image. The unique contribution of the book is that the reader is provided an image to study and the knowledge to recognize theological implications of the image within its historical context. It's rare for an academic work to so successfully integrate visual and verbal illustration as this book accomplishes. Dispassionate account of the various ways Jesus has been regarded, from the first century to the twentieth. Not much to be learned, except that there's not much to be learned. Each century looks through the same Gospels, decides what to ignore in order to get a picture of Jesus that seems plausible to them, and comes up with a totally different idea of the character of Jesus. You can believe one of them, or you can believe the evangelists who either were or talked to eye-witnesses. This is a fantastic book that deals with how different eras/cultures have pictured the figure of Jesus. This is a must-read for every Christian who is interested in exploring perspectives other than their own on "who Jesus is," and in wrestling with some huge questions regarding his significance for various fields of inquiry. It is, however, written in particularly academic prose, and assumes some general knowledge about church history. Do you think Jesus has always been the person whom christian profess to have a "deep, personal relationship" with? Think again! This book outlines how the person of Jesus has been viewed throughout history and how it has changed over time to meet the needs of the contemporary culture in every case. More than just a great teacher... Otherwise he would never have been crucified... He was God and man... King, rabbi, priest, Savior, and Lord. You cannot go your entire life without confronting the question of Christ. God be with you in your own journey. We used this book for a class of the same name (minus the subtitle). It is primarily focused on artistic representations but still does a great job of looking at the changes in how we've understood Jesus over the centuries. A very informative book. Very intelligent look at the way the image and concept of Jesus has impacted both the western and eastern Christendom in art, philosophy and politics, and the ways in which the emphasis has changed over time. I found this a surprisingly disappointing read, considering how much I respect Pelikan as a historian and writer. I wonder, if however, it disappoints more because it is dated and has been superseded by other works. Pelikan's works, such as this one, simplify complex theological concepts into accessible reading. This book introduces readings to the evolving consideration of Jesus Christ across eras and cultures. Jaroslav Jan Pelikan was born in Akron, Ohio, to a Slovak father and mother, Jaroslav Jan Pelikan Sr. and Anna Buzekova Pelikan. His father was pastor of Trinity Slovak Lutheran Church in Chicago, Illinois, and his paternal grandfather a bishop of the Synod of Evangelical Lutheran Churches then known as the Slovak Lutheran Church in America. According to family members, Pelikan's mother taught him Jaroslav Jan Pelikan was born in Akron, Ohio, to a Slovak father and mother, Jaroslav Jan Pelikan Sr. and Anna Buzekova Pelikan. His father was pastor of Trinity Slovak Lutheran Church in Chicago, Illinois, and his paternal grandfather a bishop of the Synod of Evangelical Lutheran Churches then known as the Slovak Lutheran Church in America. According to family members, Pelikan's mother taught him how to use a typewriter when he was three years old, as he could not yet hold a pen properly but wanted to write. A polyglot, Pelikan's facility with languages may be traced to his multilingual childhood and early training. That linguistic facility was to serve him in the career he ultimately chose (after contemplating becoming a concert pianist)--as a historian of Christian doctrine. He did not confine his studies to Roman Catholic and Protestant theological history, but also embraced that of the Christian East. In 1946 when he was 22, he earned both a seminary degree from Concordia Seminary in Saint Louis, Missouri and a Ph.D. at the University of Chicago. Pelikan wrote more than 30 books, including the five-volume The Christian Tradition: A History of the Development of Doctrine (1971–1989). Some of his later works attained crossover appeal, reaching beyond the scholarly sphere into the general reading public (notably, Mary Through the Centuries, Jesus Through the Centuries and Whose Bible Is It?). His 1984 book The Vindication of Tradition gave rise to an often quoted one liner. In an interview in U.S. News & World Report (June 26, 1989), he said: "Tradition is the living faith of the dead; traditionalism is the dead faith of the living. Tradition lives in conversation with the past, while remembering where we are and when we are and that it is we who have to decide.